You are clearly THE BEST!! The problem is that he needs to get 12 codes which are the solution for some 4th degree equations to deactivate the bomb, but he only studied 2nd order equations in the high school (at this moment, he wishes his former teacher had taught him how to solve more equations, but it is too late..). Euler needs desperately your help!! Will you help him to solve these 4th degree equations? 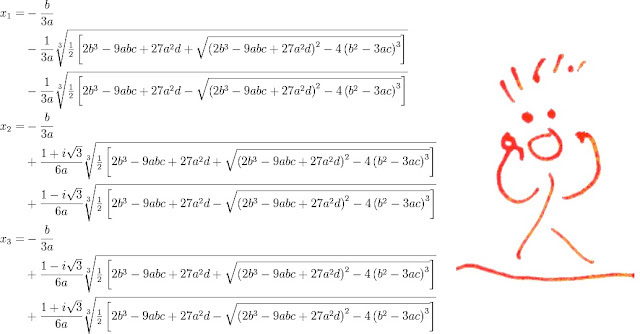 It has been proved that there is no possible formula for the general equation of degree 4, but it’s quite interesting that some 4th order equations can be solved easily transforming them into 2nd order equations. 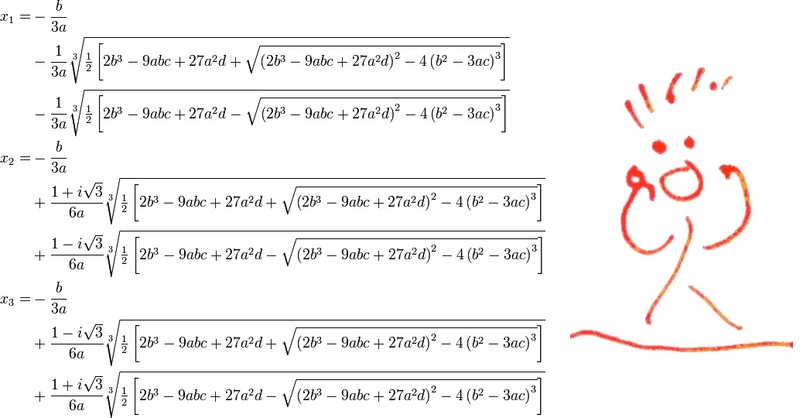 These equations are called Biquadratic Equations. Try to solve the following biquadratic equations to get the codes Euler Piruleta needs to deactivate the bomb. Write the 12 codes you get in the chart below… is the only way of deactivating the bomb!!! Note: if one code is not a real number, you must enter #. - Juan has been the winner of the Euler Piruleta's Face contest!! Therefore, he has been awarded with 2 challenge positives! - Belén, Carlos and Iñaki have been incredible runner-ups, so they have been awarded with 1 challenge positive! - Iñaki, Jorge, Iván and Tania have a new challenge positive for the Second Order Equations Formula!